The Cape Henlopen High School golf team completed its conference match schedule on a high note this week, with two victories. The Vikings are currently ranked sixth in the state, with three non-conference matches remaining in the schedule. On May 7, the team beat Seaford’s Blue Jays fairly handily on the back nine at Rehoboth Beach Country Club, 165-190. Tyler Witman shot the best score of the day with a one-under 35. On May 8, the Vikings hosted Polytech in the match that didn’t take place in last week’s scheduling snafu, and won again by a similar margin, 165-192. This time, Prettyman took medalist honors with a 39, her best round of the season. Witman scored a 41, but was unavailable for comment. Wagamon played with him, though, and simply said he had an off day. 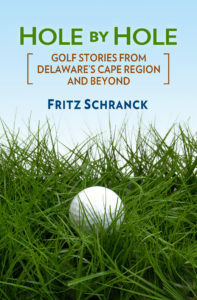 The annual Delaware State Golf Scholarship Fund event takes place May 20 at Rehoboth Beach Country Club. Senior PGA Tour star Dr. Gill Morgan will play a scramble with 18 amateurs, who will pay $600 for the privilege of golfing with one of the game’s finest ambassadors. Toyota USA is continuing its significant support for the fundraiser, thanks to RBCC member Bob McCurry’s affiliation with the automobile manufacturer. Toyota dealers from all over the country have sent in additional donations, which support college scholarships for students from all over the Delmarva Peninsula. A few remaining playing spots may still be available for the scramble. Cape golfers wishing to contribute may also participate in the Birdie Challenge, pledging money for each birdie scored by the four scramble teams playing in the event. For more information, contact Rehoboth Beach CC head professional Ron Barrows at 302-227-3616.